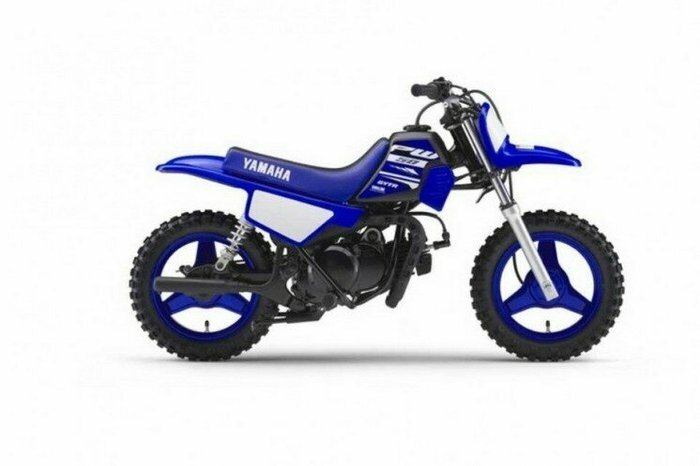 With the PW50's rider friendly design, it's easy to see why this 50cc 2-stroke is a firm favourite with kids and parents. Safety features include an adjustable throttle which allows parents to limit top speed to suit the rider's skill level - and the enclosed shaft drive reduces maintenance chores. And there's no gear shifting to worry about, it's zippy 50cc 2-stroke engine drives through a fully automatic gearbox for simple 'twist-and-go' performance.^^Offer ends 30/04/19^^Please note this price is for Queensland only. Please contact your local Yamaha dealer for location specific pricing.^^This Yamaha model is only available at authorised Yamaha Dealerships. See contact us for dealership details.^^*Ride away price includes all offers, cashback, rebates and discounts.